Hizb Attahrir (liberation party) strongly denounced the Palestinian Authority's security apparatuses for preventing public gatherings and marches in the West Bank, affirming that it would defy this repressive policy and would organize its activities normally. In a statement distributed during a rally it staged on Saturday in support of Jerusalem, the party said it rejects to comply with PA security orders demanding it to hold its activities inside closed halls and to receive prior permission from the governors. The party also accused the PA security apparatuses of intimidating the owners of auditoriums and halls into not dealing with it. Spokesman for the party Maher Al-Jabari said that the PA security forces tried before holding the march on Saturday to arrest him and other members of the party in order to thwart the activity. Jabari also condemned PA minister of religious affairs Mahmoud Al-Habbash for calling on Muslims from other countries to visit occupied Jerusalem through Israeli visas and considered such visits as a type of normalization. He emphasized that the Muslims from other countries can only come to Jerusalem to liberate it from the occupation. In a separate incident, the PA security forces have been trying for days to arrest Jamal, the son of Hamas figure Sheikh Jamal Abul Heija, because of his participation in activities in support of prisoners and carrying Hamas flags. Local sources told the Palestinian information center (PIC) that the PA security apparatuses accused Hamza, 20, of carrying Hamas flags during events in support of his jailed father Sheikh Jamal Abul Heija and slain prisoner Maysara Abu Hamdiya. The PA security forces raided the house of Sheikh Abul Heija several times in an attempt to arrest his son. The raids on his house raised the ire of his family who denounced such behavior by the PA security as reprehensible and a betrayal of the sacrifices made by the Palestinian prisoners in Israeli jails. In another incident, the PA security forces on Saturday kidnapped a Palestinian citizen affiliated with Hamas named Saleh Najajerah from his home in Nahalin town west of Bethlehem and summoned six others for interrogation in different West Bank areas. The PA intelligence apparatus also refused to comply with a court verdict issued two weeks ago ordering it to release prisoner Saleh Nofal, 35, who has been held in its jail in Ramallah city. A military court in the Gaza Strip on Sunday sentenced two people to custodial sentences for collaborating with Israel. One man was sentenced to 20 years in jail, and the other to seven years, on the charges of spying for Israel. 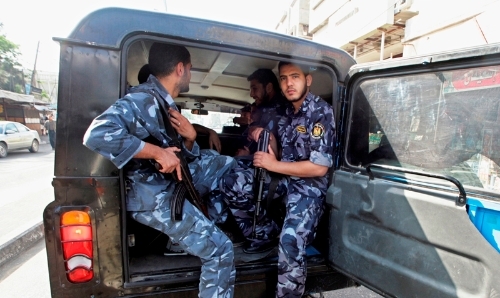 On Friday, Hamas security forces began arresting alleged collaborators who did not hand themselves in during a month-long amnesty which began on March 12. All execution orders must be approved by the president before they can be carried out, but Hamas no longer recognizes the legitimacy of incumbent Mahmoud Abbas, whose four-year term ended in 2009. Informed sources revealed that a number of spies working for the Israeli occupation regime fled or tried to flee along with their families from the Gaza Strip during the last two days. The sources told the Palestinian information center (PIC) that as the period set by the Palestinian interior ministry for the repentance of Israel's informers and spies had ended, two of them escaped along with families through the northern side of Gaza. He added that the security forces caught another spy with his family as he was trying to flee Gaza in addition to other spies in different security operations. He noted that the movement of suspects is under constant surveillance by the security apparatuses in Gaza and there would be another campaign in the coming days to arrest those proved to be involved in espionage activities for the occupation. For his part, spokesman for the interior ministry Islam Shahwan said that the security campaign that gave a chance for the spies to turn themselves in had paid off, adding that the campaign was aimed at fortifying the Palestinian society in Gaza against treason and raising its security awareness. Spokesman Shahwan affirmed that some spies turned themselves in and repented for what had done without stating their number. 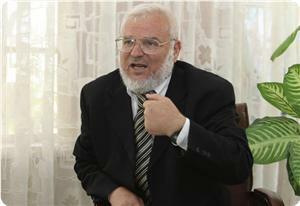 He also said that the number of spies in Gaza is limited and declining. Two units of the PA's Preventive apparatus and General Intelligence raided in Jenin the house of the captive leader Sheikh Jamal Abu Haija, in search of his son Hamza to arrest him. In Nablus, the Preventive Security service has continued to held liberated prisoner from Ain camp, Mohammed Jamal Atta, who had been released only few months ago from Israeli jails. It has also extended, for the third time, the detention of liberated prisoner Ismail Abdullah for 15 more days, in Bethlehem, pending further investigation. Special sources from the Junaid prison in Nablus confirmed that the PA's services returned political detainee Alaa Diab, from Qalqilya, to investigation after 4 years of detention. Diab was arrested in June 2009 and sentenced to 20 years imprisonment. Hamas is arresting alleged collaborators who did not hand themselves in during a month-long amnesty that expired Thursday, the Interior Ministry in Gaza said Friday. On March 12, Hamas said it had a list of collaborators but offered a one-month amnesty for informers to give themselves up in return for leniency. The list has been handed to security forces who will arrest all those who did not surrender "in the coming hours," interior ministry spokesman Ibrahim Salah told Ma'an. The arrests aim to put an end to collaboration with Israel, Salah said, adding that the campaign had been successful as more informers had turned themselves in than in previous amnesties. Human Rights Watch on Thursday criticized the Hamas government in Gaza's apparent failure to investigate the murders of seven prisoners accused of collaboration with Israel. The prisoners were publicly killed during two days in November, during Israel's week-long assault on the enclave. 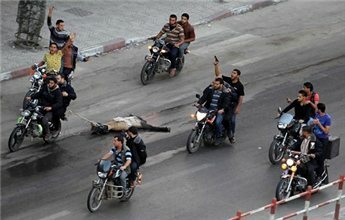 An image of one of the victims being dragged behind a motorcycle through Gaza City quickly became a symbol of the conflict, which killed at least 170 Palestinians. “Hamas’s inability or unwillingness to investigate the brazen murders of seven men makes a mockery of its claims that it’s upholding the rule of law in Gaza,” said Sarah Leah Whitson, HRW's Middle East director. 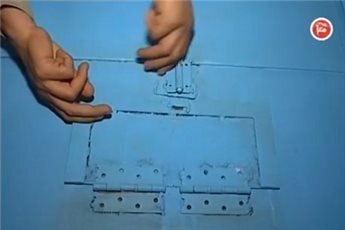 Human Rights Watch said that despite the circumstances of their deaths, the military courts that convicted the men decided primarily on the basis of coerced confessions, ignoring credible evidence that interrogators tortured at least six of them. “Even before the killings, the abuses the men suffered made the criminal justice system a travesty, regardless of their guilt or innocence,” Whitson said in a statement. She accused the government in Gaza of failing to take even basic steps toward identifying the killers. “Months after seven Palestinians were murdered in broad daylight, seemingly with the collusion of security officials, the Hamas authorities in Gaza appear not to have lifted a finger to investigate, let alone to hold those responsible to account,” Whitson said. The Hamas government announced in November it was investigating how the men died. Palestinian human rights activists along with senior Hamas officials also condemned the killings as illegal, saying the men should have been brought to justice under the law. Hamas claimed success on Thursday in their month-long campaign to encourage people in the Gaza Strip accused of collaborating with Israel to turn themselves in. "The campaign to combat espionage achieved a number of goals, and from this evening the deadline for Israeli collaborators to turn themselves in has ended," said Interior Ministry spokesman Islam Shahwan. "Successes were achieved," he said, adding that the number of people now believed to be working on behalf of Israel was "low." On March 12, Hamas set a one-month ultimatum for alleged collaborators to turn themselves in in return for leniency. "A number of agents turned themselves in," he said, without giving a number and saying only that they would be "dealt with" according to Palestinian law. 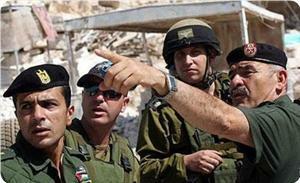 During a major eight-day confrontation with Israel in November, at least seven people were gunned down after being accused of being collaborators. The bodies of six were dragged behind vehicles through the streets of Gaza City. The killings were claimed by Hamas militants from the al-Qassam Brigades in a note pinned to their bodies, accusing them of being traitors. New York-based watchdog Human Rights Watch criticized Hamas on Thursday for failing to investigate the killings as promised. "Hamas's inability or unwillingness to investigate the brazen murders of seven men makes a mockery of its claims that it is upholding the rule of law in Gaza," HRW's Middle East director Sarah Leah Whitson said in a statement. The Palestinian Centre for Human Rights (PCHR) strongly condemns the arbitrary detention of a number of young men and the cutting of their hair over the past days, by the Palestinian police in Gaza. The police has detained and attacked several men over the past days, stating that the hairstyle of these men was indecent. PCHR calls upon the Attorney General in Gaza to open investigations into these attacks, cases of arbitrary detention, and violation of civil rights of citizens. PCHR also calls upon the government in Gaza to respect citizens' liberties, which are guaranteed under international human rights law. According to investigations conducted by PCHR, over the three past days, the Palestinian police stopped a number of young men, who were walking in different areas in the Gaza Strip, and took them to police stations under the pretext that their hairstyle was "indecent". The hair of the men was cut while they were in detention. Some of the men also beaten while in detention. Finally, the detainees were forced to sign a statement declaring they would not grow long hair or have a strange hairstyle, or wear "low-waisted trousers" again. "I finished my work at approximately 16:30 on Thursday, 04 April 2013, and took a taxi to al-Shuja'iya taxi stand, east of Gaza City. While waiting for another taxi to take me home, I was surprised that a policeman called me and ordered me to get into a police jeep. There were about 12 other young men inside the jeep and no one knew the reason of his detention. We were transported to al-Shuja'iya police station. Meanwhile, one detainee was beaten by a policeman. At the police station, they ordered us to stand in a queue and they were making fun of our hairstyles using abusive words. When a detainee protested, he was beaten. The policemen started cutting a young man's hair and I was the next one to have his hair cut. All young men had their hair cut. I then signed a statement saying I would not grow long hair or have strange hairstyle or wear low waist trousers. I left the police station at approximately 18:30 on the same day." On Saturday, 06 April 2013, Eng. Ihab al Ghussain, Head of the Governmental Information Office, posted on his Facebook page that: "after referring to all the official authorities, I can confirm that the police did not launch the alleged campaign. What is discussed is a campaign launched by the Islamic Bloc namely (My morals ... Secret of my success), in which they address certain forms of negative behavior such as wearing low-waisted trousers, the use of media calls [...]. I request everybody to refer to official authorities when receiving any information." 1. Private liberties are constitutionally guaranteed under the Palestinian Basic Law and should not be violated based on the evaluation of law enforcement officers regarding the appearance of civilians. Article 11 of the Palestinian Basic Law stipulates that: "1. Private liberties constitute a basic right that is guaranteed and should not be harmed". 2. Citizens should not be arrested, searched, detained, or otherwise have their liberty restricted unless through a judicial order issued by the Attorney General or a competent court according to the abovementioned Article, which stipulates that: "2. 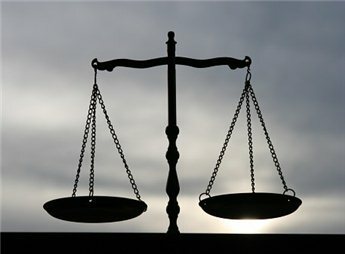 No one shall be arrested, searched or detained [...] unless by a judicial order in accordance with provisions of the law..."
3. The beating of detainees by government officials can amount to torture, and therefore criminal or civil complaints related to these cases will not fall under the Statute of Limitations according to article 32 of the Palestinian Basic Law. 3. Calls upon the Palestinian Security Services to respect the basic human rights that are guaranteed under international human rights law. MP Samira Halaiqa confirmed that PA security apparatuses in the West Bank refused to allow Change and Reform MPs to visit political prisoners in its jails. Halaiqa told Quds Press on Sunday that the Islamic MPs were prevented to visit political prisoners especially in Jericho prison in total violation of the Palestinian law that gives permission to MPs to check on prisoners' conditions. Halaiqa noted that these visits came in response to the demands of prisoners' families to check on their sons’ situation especially in light of the human rights reports about torture in PA jails. The MP stressed that ending the Palestinian political arrests is a prerequisite to end the division and achieve true reconciliation. Meanwhile, PA security services arrested five and summoned six of Hamas supporters, and refused to release a news reporter from Ramallah. In al-Khalil, PA security forces launched an arrest and summons campaign against Hamas supporters and cadres in Yatta town, southern of al-Khalil, targeting businessmen, liberated prisoners, doctors, and teachers. In Ramallah, the PA Preventive Security Service failed to arrest the liberated prisoner Yousef Mashaal Barghouti, after storming and searching his house, knowing that he was released several months ago from occupation prisons. Furthermore, PA security forces refused to release the journalist Mohamed Awad from the village of Budrus, near Ramallah, on bail of 5,000 Jordanian dinars under the pretext of being involved in another case. 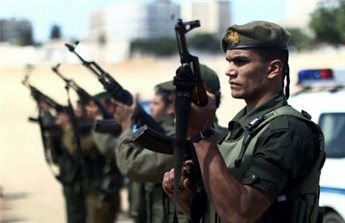 Palestinian Authority security forces arrested three Hamas members in the West Bank, the Islamist movement said Monday. 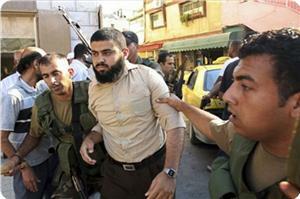 Forces from the Fatah-led PA detained the Hamas affiliates in Hebron, Hamas said in a statement. 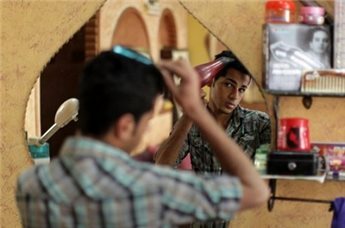 Hamas security forces in Gaza have been rounding up young men and forcing them to get haircuts on grounds of inappropriate hairstyles, a rights group has charged. Some of the youths have even been beaten for styling their hair in a way deemed unacceptable to Gaza's ruling Islamist movement, or wearing low-hung trousers, the Palestinian Center for Human Rights said on Sunday. "Palestinian police have stopped several young men walking in different areas in the Gaza Strip in the last three days and taken them into custody saying their hair styles are inappropriate," said the PCHR. "Those young men were forced to get haircuts in a humiliating way and several of them were beaten. They were also forced to sign statements saying they will never grow their hair or have strange hairstyles or even wear low-waist trousers." The PCHR urged the attorney general to immediately open an investigation into the attacks and the beatings, saying they "undermine personal freedom". 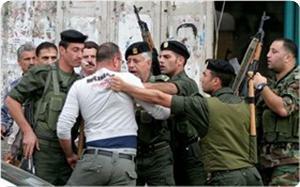 "We severely condemn the detention of several young men in the past few days by the Palestinian police," said the PCHR. Police spokesman Ayman al-Batinji confirmed some young people had been compelled to get their hair cut, in a move he said was related to inappropriate behavior on the streets. "We received several complaints from headmasters saying a number of boys are hanging around on the streets and harassing girls," he said in a statement, adding police had begun the crackdown following "complaints" last week. But he denied claims of police brutality, saying their treatment of the youngsters was "not as harsh as it appears," without giving further detail. 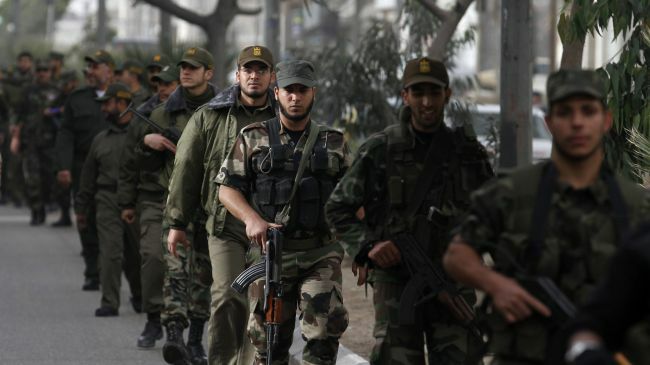 The Palestinian resistance movement Hamas says its security forces have arrested a number of people on suspicion of espionage for certain Western and Arab spy agencies in the Gaza Strip. “The Gaza Strip is swarming with Western intelligence agencies, such as the American, British, French and German services,” Lafi said, adding that certain Arab spy agencies were also operating in Gaza. “They all target Gaza and Hamas,” he stated. The Hamas official also cautioned against alleged Palestinian “collaborators” feeding information to foreign spying agencies. Acting Palestinian Authority Chief Mahmoud Abbas says freeing Palestinian prisoners from Israeli jails is a "priority" for the Palestinian Authority (PA). "The Palestinian leadership gives priority to the prisoners’ issue and ending their suffering," AFP quoted Abbas as saying in a speech to a meeting of his Fatah party in the occupied West Bank city of Ramallah on Wednesday. "We cannot be silent about their staying behind bars... (we) have demanded the freeing of all prisoners, especially those arrested before the Oslo accords, and sick, child and women prisoners," he added. "But the Israeli government, in its arrogance, doesn't care" about the detainees, he noted. 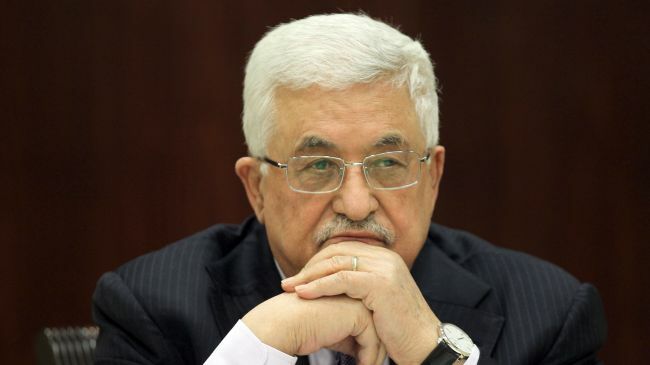 In light of "the achievements in the UN" -- a reference to upgraded Palestinian status at the UN late last year that angered Israel -- the PA would "go to the ends of the earth to protect our prisoners," Abbas went on to say. Abbas made the remarks after the death of a terminally-ill Palestinian in an Israeli prison sparked violent protests across the West Bank. 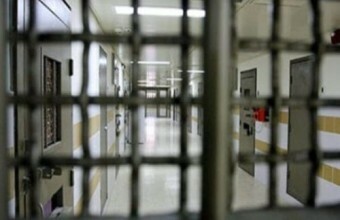 Maisarah Abu Hamdiah, a cancer-stricken inmate, lost his life in an Israeli jail due to the lack of medical care on Tuesday. Meanwhile, Israeli forces shot to death a Palestinian teenage in the West Bank during a demonstration against Hamdiah’s death. The Palestinian, who was identified as Amer Nassar, 17, was killed in clashes that erupted near the city of Tulkarem. Dr. Aziz Dweik, the Speaker of the Palestinian Legislative Council (PLC), confirmed that he sent a letter to PA President Mahmoud Abbas to allow him and a number of PLC deputies to visit Palestinian political detainees in Jericho prison. Dr. Dweik confirmed that Abbas refused his demand although that the legislative authority has the right to control everything that goes on in PA jails and to monitor human rights abuses inside PA prisons. Dr. Dweik considered the PA president's refusal to allow Palestinian MPs to visit political prisoners in Jericho prison as a part of tyranny and dictatorship exercised by the security services against the Palestinian people and against political prisoners who have been detained since several months. We received appeals from the families of prisoners tortured in Jericho prisons asking us to visit their sons and to check on their health conditions, PLC speaker stated, saying that no one has answered his demand to visit the political detainees in PA Jails. Dr. Dweik denounced political arrests, asserting that "any Palestinian faction has the right to exercise its political work through its political, media and social institutions, and these rights are guaranteed by Palestinian laws." He considered that the continued political detention and summonses as a prominent obstacle to achieve the Palestinian national reconciliation. The Palestinian authority security forces kidnapped four Palestinians affiliated with Hamas in Bethlehem, Tubas and Al-Khalil, and refused to comply with a court decision ordering the release of a detainee. In Al-Khalil, the PA preventive security apparatus rearrested Alaa Azghir and his cousin Karam Azghir from their workplaces in the city. The preventive security in Bethlehem also detained a young man called Muhahid Jebril from Tekoa town and summoned ex-detainee Hasan Al-Wardiyan for interrogation. The same security apparatus has been detaining Amir Hawtari from Huja in Qalqiliya city since last Friday. 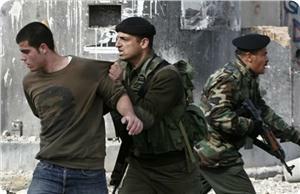 The detained young man was an ex-detainee in PA and Israeli jails. 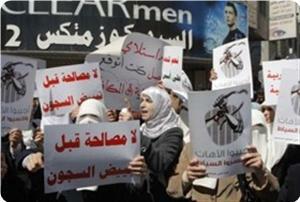 A PA security apparatus also refused the release of detainee Mohamed Zahid from its jail in Ariha. The PA intelligence agency in Tubas city, in turn, rejailed a young man from Hamas named Osama Sawafta who declared his hunger strike in protest at his arbitrary detention. PA security services continued its escalation and violations against Hamas activists and citizens, where two liberated prisoners were arrested in al-Khalil and Ramallah, summoning the teacher Tamam Abu Saud in Nablus. In Ramallah, the PA Intelligence service arrested the liberated prisoner Samer Al-Shawa, a former detainee in PA prisons, where he spent 8 years in Israeli jails. In Nablus, PA Preventive service summoned the teacher Tamam Abu Saud for investigation on Monday, noting that her son is detained in Israeli jails since two weeks ago where he was arrested more than once by the IOF and PA forces. 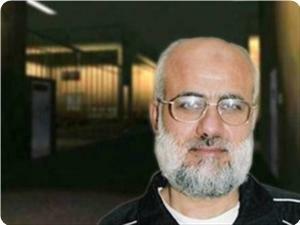 PA Preventive service also summoned the liberated prisoner Walid Shaqo from Nablus for the third time. In al-Khalil, the PA intelligence service arrested the liberated prisoner Abdul Rauf Ali Ghneimat from Surif after summoning him. In Tulkarem, Palestine Technical University's security services confiscated promotional materials of the Islamic bloc at the university in light of the Student Union Council elections on Tuesday. The university guards raided "Shale stones Gallery", and confiscated items and models of the resistance rockets under the pretext that it violates "the university law", noting that the exhibition was held during the statutory period of pre-election campaign. The Palestinian Centre for Human Rights (PCHR) calls upon the Attorney General in Gaza to conduct an investigation into the circumstances of the death of a suspect in the detention facility of Rafah police station and to publish the results of the investigation. According to investigations conducted by PCHR and the testimony of a suspect's relative, at approximately 23:35 on Sunday, 31 March 2013, the body of Sami Hamdan Qishta, 50, from al-Brazil neighbourhood in Rafah in the southern Gaza Strip, was taken to Martyr Mohammed Yousef al-Najjar Hospital in the town. According to police sources had been detained in the detention facility of Rafah police station since 20 March 2013 by a court order, and he had received a special treatment because he was suffering from weakness of the heart muscle. He was allowed to stay with his family on Thursday and Friday, 28 and 29 March 2013, before he came back to the detention facility on Saturday morning, 30 March 2013. 1. Calls upon the Attorney General in Gaza to open an investigation into the circumstances of Sami Qishta's death and publish the results of the investigation. 2. Emphasises that the Palestinian Authority hold the ultimate responsibility for the wellbeing of prisoners and detainees, and thus, they are responsible for ensuring that prisoners and detainees are treated in a way that maintains their dignity, including through the provision of adequate health care services, in accordance with the Law of Reform and Rehabilitation Centres of 1998.